Dazzling, emotional, gripping, intense, powerful, unique, astonishing, captivating, magnificent, fascinating, memorable, breath-taking, heart-breaking, spine-tingling and tear-jerking! Feyre: Feyre is my #1 heroine! She is fierce, loving and ready to give her all for the people she loves. 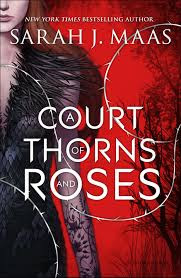 I'm a very big Feyre-fan, she is all you want in a series like this. Ending: It seems like a thing, to break my heart at the end of a book. I know how book 2 is going to end, and Sarah J. Maas is a BOSS in ending books with a big shock. I LOVED the ending. I cried so hard, even the second time, it was perfect, it was great and it makes you want MORE. I couldn't wait to read the second book after this first one. "A gorgeously written tale as lush and romantic as it is ferocious. Absolutely spellbinding." "Readers will find the author's trademark blend of action, romance, and witty banter as well as a sexier edgier tone." "Suspense, romance, intrigue and action. This is not a book to be missed!" "Do you lie awake at night to come up with all your witty replies for the following day?" "A kiss for each day we'd spent apart, a kiss for every wound and terror, a kiss for the ink etched into my flesh, and for all the days we would be together after this. Days, perhaps, that I no longer deserved. But I gave myself again to that fire, threw myself into it, into him, and let myself burn." "Don't feel bad for one moment about doing what brings you joy." What's your opinion about this series?! This series is on my Wishlist. I love good world-building. It's my favorite series ever.. I hope you'll enjoy! I LOVE THIS SERIES. I recently did the rereads too just for ACOWAR and now I'm sad and a little empty that they are done! Thank goodness for the companion series next year! Under the mountain was my favourite part of this book by far but I loved it all - the world building, the development, the growth. Such a fangirl for this series! I totally agree! 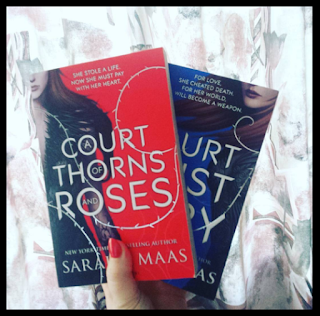 I'm also re-reading for ACOWAR and loved the ending of this book!